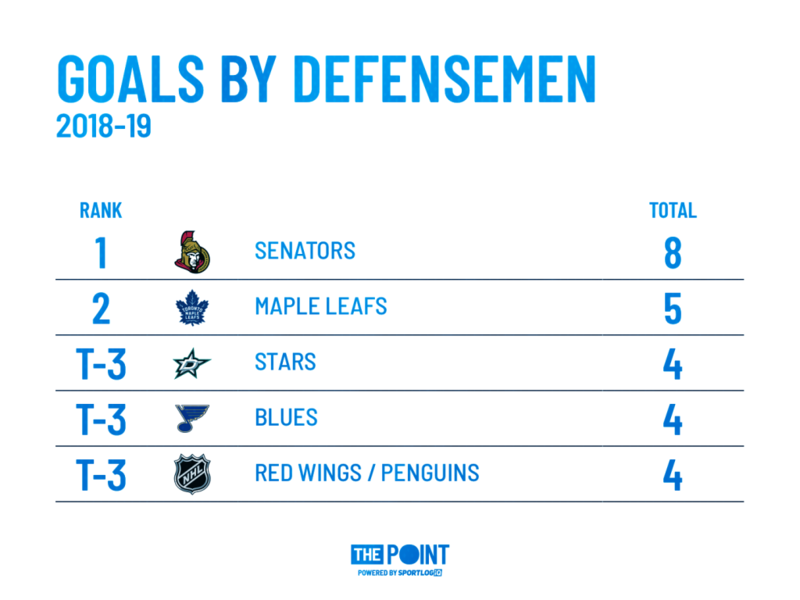 Senators: Active defense a driving force behind impressive offensive start - The Point Data-driven hockey storytelling that gets right to the point. Five games into the season and the Ottawa Senators are 2-2-1 with a negative 1 goal differential. An average start for a team thought to be well below average. 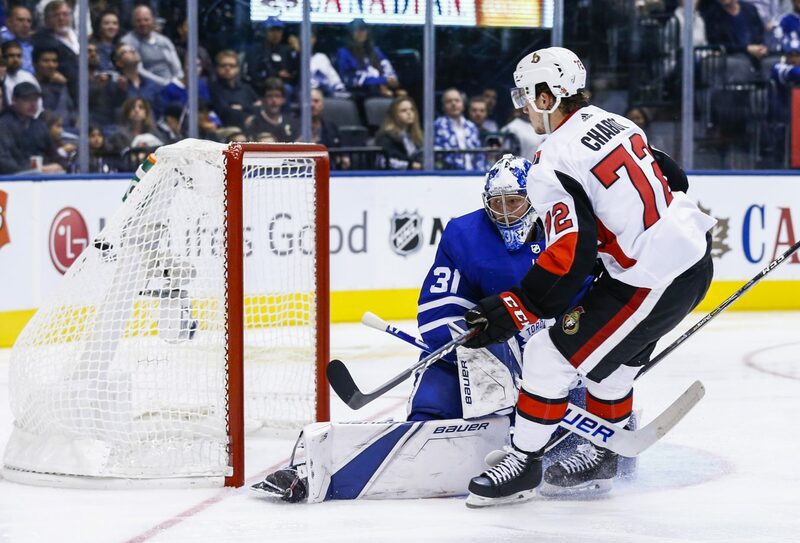 The Sens continue to struggle in their own end, allowing 4.2 goals against per game (30th) however, they are managing to put the puck in the net at an impressive rate, scoring an average of 4 goals per game (6th). 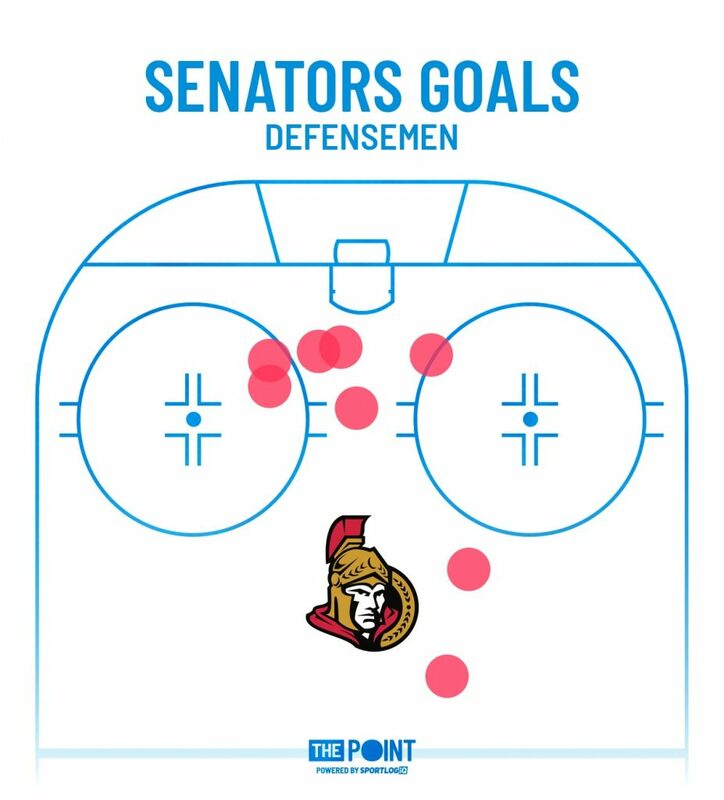 When you look at the goals and scoring chances the Senators have created, what’s been noticeable thus far is how active Ottawa’s defense has been in the offensive zone. Almost half, eight of twenty, of Ottawa’s goals have been scored by defensemen, the most in the NHL. Six of those eight goals have come from below the dots. 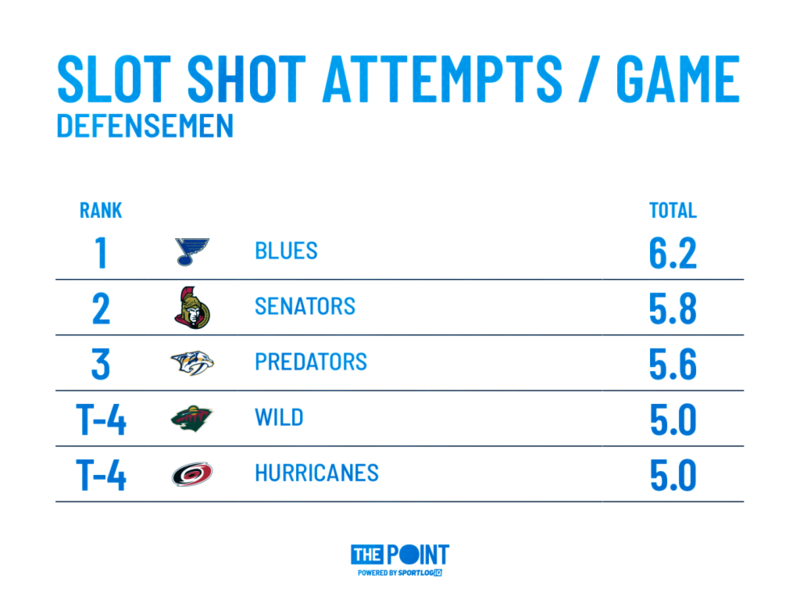 Sens defensemen have been more active below the top of the circles than almost any team in the league, generating 5.8 shot attempts from the slot per game, 2nd only to the St. Louis Blues. The 5.8 slot attempts per game is more than double Ottawa’s average from a season ago, 2.6. 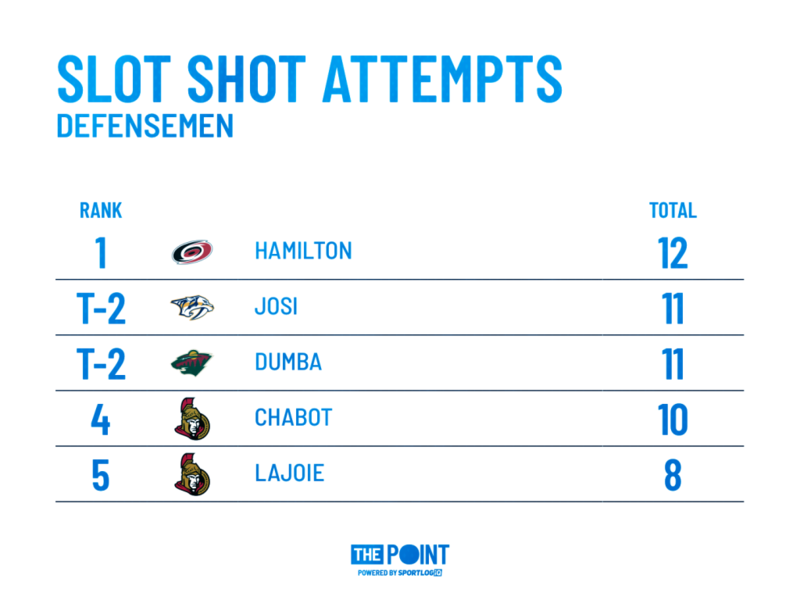 Thomas Chabot and Maxime Lajoie are leading the charge, with ten and eight slot shot attempts, respectively – both ranking top 5 in the league. Two of Lajoie’s attempts resulted in powerplay goals with him pinching low on the left side of the ice. 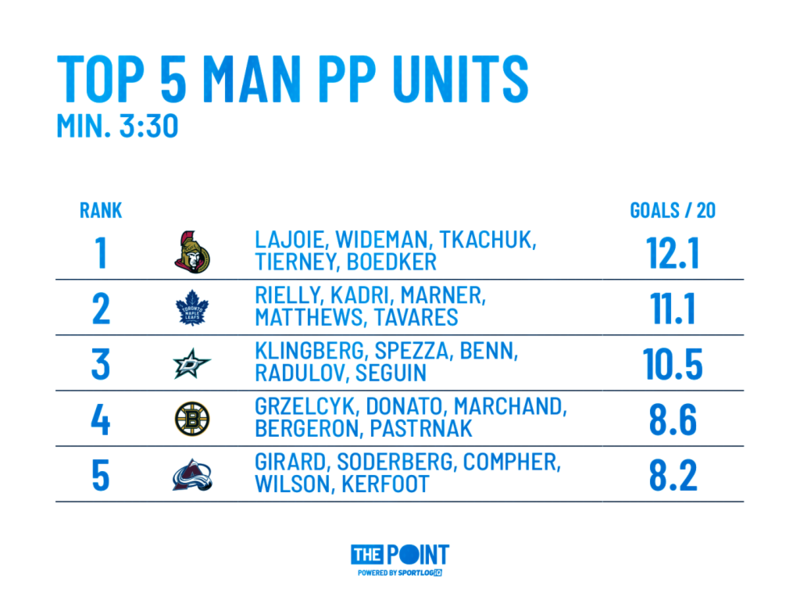 The rookie’s three total goals are tied for the most by a defensemen this season and his contributions on the powerplay have helped the Senators lead the league in an impressive category – owning the most productive 5-man powerplay unit in the NHL. Lajoie, Chris Wideman, Brady Tkachuk, Mikkel Boedker and Chris Tierney have accounted for 3 powerplay goals in 4:57 of powerplay time, good for a goals per 20 rate of 12.1. It’s the highest success rate of any unit with at least 3:30 of powerplay time (62 total units, an average of 2 per team). The Senators won’t be able to maintain a 4 goals per game average for long (last season the Lightning led the NHL averaging 3.54 goals per game) but their offensive output fuelled by contributions from their defensemen has been impressive through five games. The D’s willingness and ability to drop down low in the zone to generate quality shots has been a driving force behind the teams offensive production so far this season. Ottawa’s opponent tonight, the Dallas Stars are a notoriously stingy team allowing the fewest shot attempts against from the slot last season and the second fewest so far this season. If you’re watching the game tonight, keep an eye on how often the Sens send a defensemen down low in attempt to create odd-man situations and quality shots at the net.